Readers will not want any "winterruptions" as they breeze through this lively, information guide on Western New York weather. 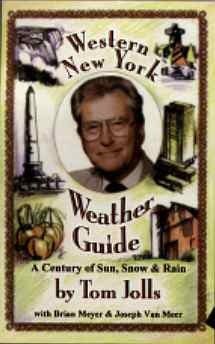 Veteran Weatherman Tom Jolls worked with award-winning journalist Brian Meyer and researcher Joe VanMeer to craft a unique almanac crammed with humorous, dramatic and slices-of-life, all of which focus on the four seasons. The Western New York Weather Guide also includes more than 20 photos and many user-friendly charts which help readers to pinpoint milestone weather events on specific days.